Meet our cloud coaches—expert consultants in every area of Tech Data Cloud solutions. They have the knowledge and expertise to raise your cloud practice to the next level. John has 24 years of experience in IT, business development and solutions architecture. John has been part of the Tech Data (Avnet TS) SolutionsPath enablement team since 2009, helping channel partners develop offerings in high growth markets such as Healthcare and Cloud. John began his career as a network engineer and has held advanced technical and sales certifications with Cisco Systems and others. He has since held positions in sales engineering, channel sales and business development. John currently manages Tech Data’s Cloud Practice Builder program. The program follows a proven methodology to help Partners develop and implement end-to-end Private, Hybrid, Public or Multi-Cloud strategies. The Cloud Practice Builder Consultant provides Partners with resources to assist in: business growth planning, sales development, marketing, Cloud services and sales enablement. Jeff Salanco is a leader in the product marketing organization at Tech Data Corporation where he works with teams focused on designing and executing marketing programs across a variety of information technology segments. These programs enable companies of all sizes to grow by leveraging the IT channel to amplify their ability to deliver technology solutions to the market. Client partners have included Microsoft, Symantec, Red Hat, Trend Micro, SonicWALL, and LifeSize Communications. Jeff brings over 12 years of experience in marketing and operations, creating business strategies focused on helping organizations build and support customer communities. He leverages lean start-up principles and his knowledge of brand strategy, multi-channel marketing, and customer loyalty to lead initiatives focused on creating impactful customer experiences. Jeff is passionate about the implications of design on business strategy. Jeff draws from his academic education and real-world experience to build teams and help them recognize their full potential. He creates an environment where employees are encouraged to step out of their comfort zones, take ownership of opportunities, and leverage creativity to develop solutions. 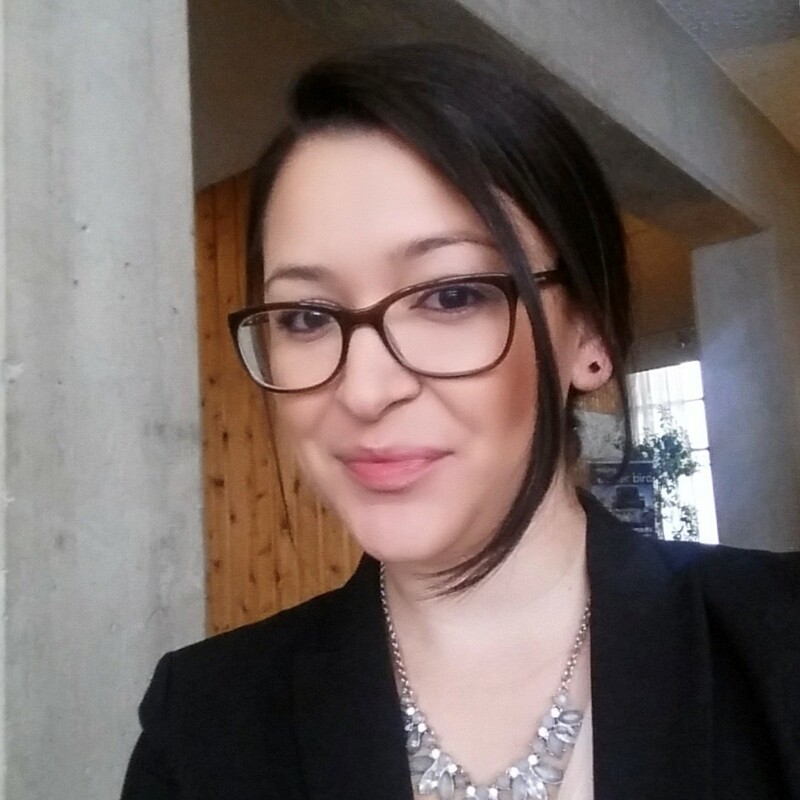 Raquel Acuna is a Business Development Manager in the Cloud organization where she focuses on Cloud Solutions. Prior to this role, Raquel worked on the Tech Data Cisco team in which she led the Go-To-Market Strategy, architectural growth and partner enablement for the organization, working directly with Cisco stakeholders. Raquel has been at Tech Data since 2008, and has served in various senior positions within sales and business development, operations, training, and marketing. She is passionate about new technologies, and helping partners take advantage of new market opportunities by understanding their business focus and trying to match their resources, skills and value proposition to new solutions they can take to market. Raquel majored in Public Relations, from Universidad Latina de Costa Rica. Kevin carries twenty years of technology and channel experience with the most recent five years focused on driving the transformation of businesses to the cloud. Kevin’s experience spans from owning and operating an IT services consulting firm, to sales and operational leadership at Insight Enterprises for thirteen years, and is currently responsible for cloud vendor development and management at Tech Data Corporation. Kevin’s expertise includes strategic planning and execution, cloud business development, change management and change leadership. Kevin has been a leader and key stakeholder on numerous cloud offering launches and successful development of including AWS (Amazon Wed Services), IBM Softlayer and MaaS360, Microsoft CSP, Cisco Webex and Spark, 8x8, Box, Dropbox, VMware vCloud Air, Veritas EV Cloud, etc. Kevin is the AWS Alliance Lead for Tech Data and subject matter expert in the AWS Reseller Program, the AWS Consulting Partner Journey for both commercial and public sector business, and is a trusted advisor source as it relates to AWS partner enablement and helping partners build a successful AWS practice and profitable AWS business. Courtney Freed joined Tech Data 4 years ago as part of the Microsoft Software Licensing team, focused on helping our partners navigate the ever changing Microsoft licensing rules and products. As Tech Data began to make heavy investments in growing its Microsoft Cloud Solution Provider Program (CSP) practice, Courtney was promoted to the Office 365 and Azure sales team. Courtney has been recognized for exponentially growing partners’ CSP business, being named in Tech Data’s Circle of Excellence (President’s Club) and awarded TD Cloud department’s Sales Excellence award, both in FY18. At the beginning of 2018, Courtney was promoted to Azure Business Development Manager, responsible to grow the Azure business with Tech Data’s Strategic and Enterprise partners, which focuses on helping current AWS partners develop a multi-cloud strategy with Microsoft Azure. Courtney enjoys her field sales role and loves getting to meet partners, learn how they operate, helping them solve obstacles moving their customers to the Cloud, and educating them on how Tech Data can help fill those gaps they may have. Contact Courtney about Microsoft Azure, or adding Azure to an existing AWS strategy. Ruben Diaz has been assisting partners with cloud training sales for the past 4 years. He has been with Tech Data for 10 years in a variety of roles from reselling software and services, to his current focus in cloud training. Ruben has 15 years of experience in channel sales. He covers partners throughout the US and Canada, providing assistance with partner enablement and training resell. From a cloud perspective he can provide assistance with training in AWS, Microsoft, IBM, Oracle, Google, and VMware. Ruben enjoys making sales calls with partners and driving additional value through a partners offering, from adding training to a state of work, or training credits to a resell opportunity. He looks forward to continuing to help our Tech Data partners achieve opportunities and rise to success. Jamie Planas, Marketing Strategist for Tech Data’s Cloud and Security organizations, works with Channel Partners to accelerate their business through simple brand and marketing strategies. She is dedicated to helping people develop and share their story by creating compelling content and strong branding that leads to greater engagement. In the past, she has supported branding and marketing efforts for Tech Data’s vendors, channel partners, and multiple nonprofit organizations through events, social media, and content creation. Jamie holds a Bachelor’s in International Relations and Global affairs from Eckerd College. Kathy Schauer is a Cloud Marketing Strategist at Tech Data, holding more than 20 years of high-tech marketing experience with fast-paced companies. Over the course of her career, Kathy has acquired deep proficiencies in strategic marketing, lead generation, public relations, branding and positioning, product introduction and internet marketing. Kathy is results-driven and delights in quickly organizing marketing into a strategic function contributing to the profitable growth of the companies she works with. Bryan leads the Reseller Connect team, a business unit focused on Marketing Strategy, Business Development, Campaign Execution, and Business Intelligence Analytics for the end customer demand generation business through Tech Data Agency. Reseller Connect is the IT Channel’s premier end user marketing agency and has been delivering results for our channel partners for over 5 years. Reseller Connect has a developed several proprietary platforms that allow reseller partners to accelerate their business with a dynamic online product catalogue, ecommerce functionality, and enterprise class marketing campaigns. Bryan started with Tech Data as a Marketing Account Executive in 2010, has held a number of Senior positions within the Agency, and was a founding member of the Reseller Connect Team in 2014. Bryan is a graduate of Florida State University with a Master’s Degree in Integrated Marketing and Communications. Brian Gibellino is a Program Manager on the Reseller Connect team, a business unit focused on Marketing Strategy, Business Development, Campaign Execution, and Business Intelligence Analytics for the end customer demand generation business through Tech Data Agency. Brian started with Tech Data in 2013, has held a number of marketing project and program management positions within the Agency, and has been a key part of Reseller Connect since its early commencement. Brian manages the go-to-market strategy for Tech Data’s Enablement Tools and is Reseller Connect’s subject matter expert in Partner Enablement. Tad Davis is a Solutions Architect for the Cloud and Automation team at Tech Data. Over the course of his IT career, Tad has provided Windows Server and Application Support at Continental Airlines, as well as Windows Server Management and Patching Automation for HP Enterprise services in Houston, Texas. He served as the project lead for a team of 17 developers constructing the United Health Group Private Cloud, and Principal Cloud Architect consultant for Charter Communications. Justin Hampton has been a cloud evangelist and enabler for the past 5 years. He has worked with partners throughout the U.S., Canada and LatAm to develop their cloud practice. Through the years, he has been fortunate to work with the earliest adopters around Office 365 and Azure – training Microsoft PDM’s and involved with the first O365 and Azure solutions driven through the CSP model. As a Sr. Cloud SAE, He now focuses his efforts around developing Hybrid cloud and multi-cloud strategies. Justin enjoys driving successful outcomes for the reseller community and their customers quickly and efficiently by leveraging evolving cloud technologies that take cost out of the business, increase profit and time to market and accelerate cloud adoption. He looks forward to connecting and sharing these successes with valued Tech Data Partners! Tobey is a true cloud pioneer. He started selling technology in 2001, and began his Cloud journey in 2004 when he started selling email security. As the cloud grew in the industry, he began selling hosted exchange and BPOS as well as colocation services and he has not looked back since then. Tobey is very focused on helping partners through their digital transformation. He does this by offering an ecosystem of world-class, best-in-breed cloud providers such as AWS, Microsoft Azure, GCP plus many more. He enjoys getting strategic with partners and offering up his experience to his partners as they move through this journey. In his off-time, you can find Tobey building trucks and spending time with his wife, kids and grandbabies. Contact Tobey about Iaas or Public Cloud. Do you know your Cloud Capability Level? Take our Cloud Practice Assessment. Already know your Cloud Capability Level? Grow your practice with AWS or Microsoft partner designation.